Your Luminiart illuminated sculpture revisits, in resplendent detail, the popular theme of Noah’s Ark. According to the story in Genesis, God’s once perfect world, filled with beauty and love, had turned wicked. 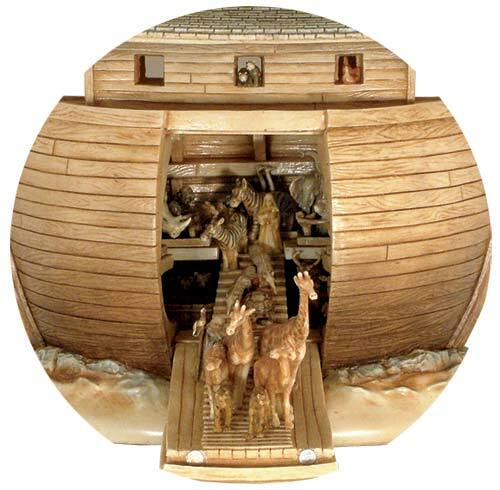 At the command of God, Noah, a man of righteousness and humility, was to build a boat that could accommodate his extended family, 50,000 species of animals and twenty times that number of insects. The craft had to be constructed to endure a divinely planned universal flood aimed at destroying every other living creature. 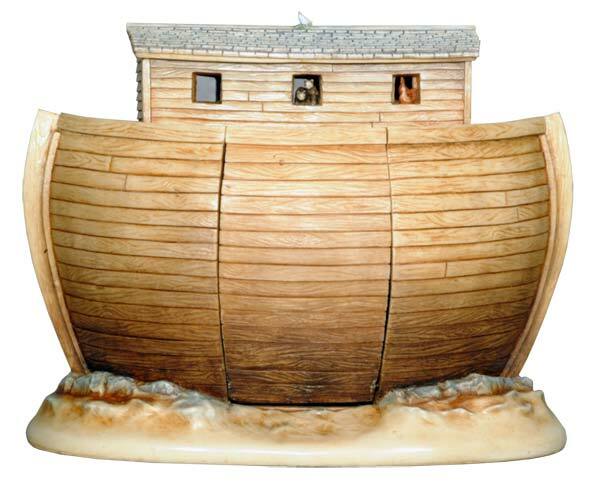 The story of Noah and his ark involves devastation, but at the conclusion, in Noah’s 601st year of life, on the first day of the first month of the year, the land at last dries. Noah removes the ark’s hatch and God’s creatures joyfully spill forth into the sunlight. Your Luminiart sculpture depicts this redemptive moment. We invite your imagination to travel to the biblical Mt. Ararat, located in present day Agri in Eastern Turkey, to experience the euphoria, enchantment and deliverance of debarkation and renewal.